Sterling Storage – All the options are in every purchase, lockable, stackable, adjustable shelves and a printer paper slot can be installed on request. Sterling never compromises quality even in these basic products. Built to last, the Sterling 4 Drawer Vertical Filing Cabinet provides a safe haven for those important and indispensable company documents, as well as everyday files. 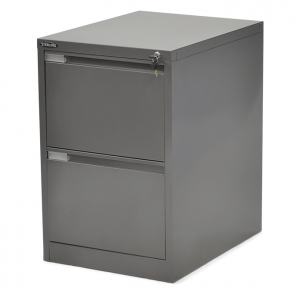 The compact 4 drawer cabinet features a mechanical interlock system that allows only one drawer to be opened at a time, to prevent the cabinet tipping. The Sterling storage range is renowned for smooth and quiet operation and offers the ultimate solution for keeping your files and documents neatly arranged and organised in a systematic manner. This versatile, generous capacity filing solution is often used in areas where there is limited space. 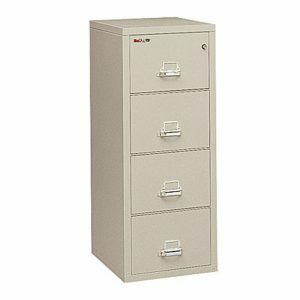 The durable the Sterling 2 Drawer Lateral Filing Cabinet comfortably accommodates all of your paperwork. Designed and built to last, the Sterling 2 Drawer Lateral Filing Cabinet provides a safe haven for large volumes of important documents, books or legal sized letters and files. The compact cabinet features a mechanical interlock system that allows only one drawer to be opened at a time, in order to prevent the cabinet tipping. The Sterling storage solutions range is renowned for superior smooth and quiet operation, and is the ultimate storage option for keeping your files and documents organised in a systematic manner. 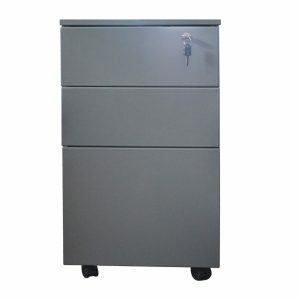 This versatile 2 drawer filing cabinet is suitable for use in corporate offices, filing rooms, call centers, and home offices. The generous capacity Sterling 4 Drawer Lateral Filing Cabinet provides a safe and lockable haven for large volumes of important documents, books or legal sized files and letters. The lateral storage unit features a smooth and quiet mechanical interlock system that only allows one drawer to be opened at a time, in order to prevent the cabinet tipping. The compact Sterling storage solutions range is the ultimate storage option for keeping files, paperwork and documents organised in a systematic manner. This versatile 4 drawer filing cabinet is ideal for use in corporate offices, filing rooms, call centers, and home offices. The Sterling 40” Storage Cabinet is a practical and versatile multi-purpose cabinet that can be used in just about any room. The compact cabinet can easily store all of your personal, office or warehouse items, helping to keep your space de-cluttered. The interior boasts two adjustable shelves that accommodate any assortment of possessions, so that you can maximise your available storage space. Constructed from commercial quality steel, the durable storage cabinet is the ideal storage management solution for your home and work environment. The generous capacity Sterling 72” Storage Cabinet is a multi-purpose cabinet can be used to store all of your personal, office or warehouse items. The spacious interior features two adjustable shelves to accommodate any assortment and arrangement of possessions, so that you can maximise your available storage space. 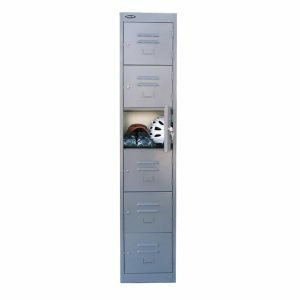 The practical, lockable storage cabinet is constructed from commercial quality steel, and provides the ideal storage management solution for your home office and work environment. Have you ever worried about what would happen to those invaluable documents and files if your whole business went up in smoke? 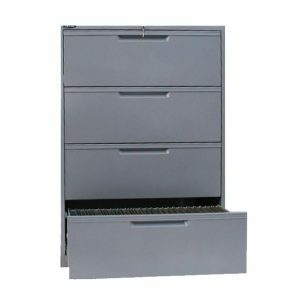 The Sterling 4 Drawer Vertical Fire Resistant Filing Cabinet provides ultimate protection for your peace of mind. The filing cabinet is also fitted with an ingenious and robust locking system that makes theft of its contents impossible. The cabinet boasts ample interior space for your filing needs, and ball bearing runners to ensure that the drawers open and close with notable ease. 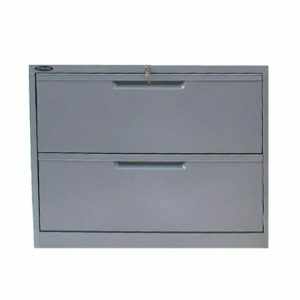 The practical and reliable 4 drawer filing cabinet is the perfect solution for your office or home space. Storage space is precious, particularly when your space is limited. All team members, or staff, deserve private secure storage in whilch to place their belongings. The Sterling 2 Door Storage Locker is the economical option that fits your budget and interior space, and satisfies your valued staff’s personal storage needs. Reduce the clutter from the work area to encourage optimal productivity. 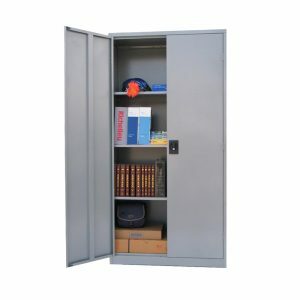 The Sterling lockable locker easily fits into small spaces and is suitable for use in general staff areas, educational institutions, sports facilities, large venues, and at home. The Sterling 4 Door Storage Locker is the economical route to satisfying your valued staff or team’s personal storage needs. 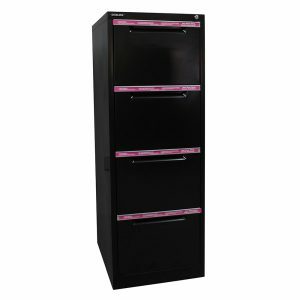 The practical and compact storage locker has a tower design to reduce the clutter from the work area. The lockable 4 door locker features individual compartments to keep everyone’s personal storage safe, secure and private. 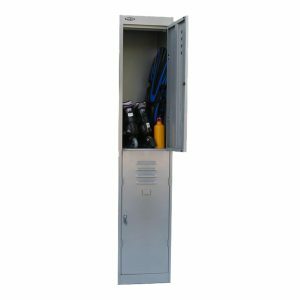 The streamlined vertical locker is ideal for limited spaces, and is suitable for use in general staff areas, educational institutions, sports facilities, large venues, and at home. 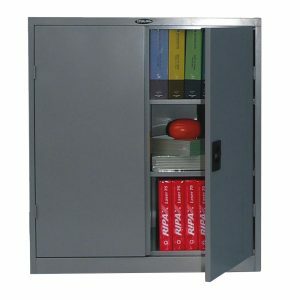 Reduce the clutter from the work area, with the economical and practical Sterling 6 Door Storage Locker. The versatile storage option ensures that all team members or staff have their own private and secure storage space. 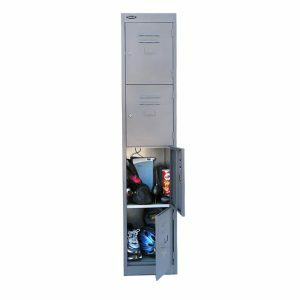 The compact and streamlined locker features individual compartments that are vertically arranged for easy access by multiple users. The lockable locker is suitable for use in general staff areas, educational institutions, sports facilities, large venues, and at home.